Hyper Net Solutions has partnered with Ektron in producing quality CMS and DMS. CMS can be customized with API, user communities and active developers. Our professionals are experts in delivering SEO ranking in an effective manner. The multi lingual option from Ektron enables the user to utilize many languages. 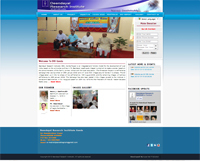 All the websites are made user friendly and interactive. Hyper Net Solutions offer many more additional features partnering along with Ektron. Playing an important role in the development of CMS, Ektron has become an effective tool in the content management system. The Ektron content management system is powered by the effective use of XML and eWebEditPro that makes the use of Ektron user friendly and easy. The API and the communities help in the development of Ektron. In addition the Ektron CMS application is useful in selecting multiple languages with the help of multi lingual option. Apart from general training and support, we also have many applications that are developed.